Read the Renault Modus MPV (2004 - 2012) car review by Auto Trader's motoring experts, covering price, specification, running costs, practicality, safety and how it drives. 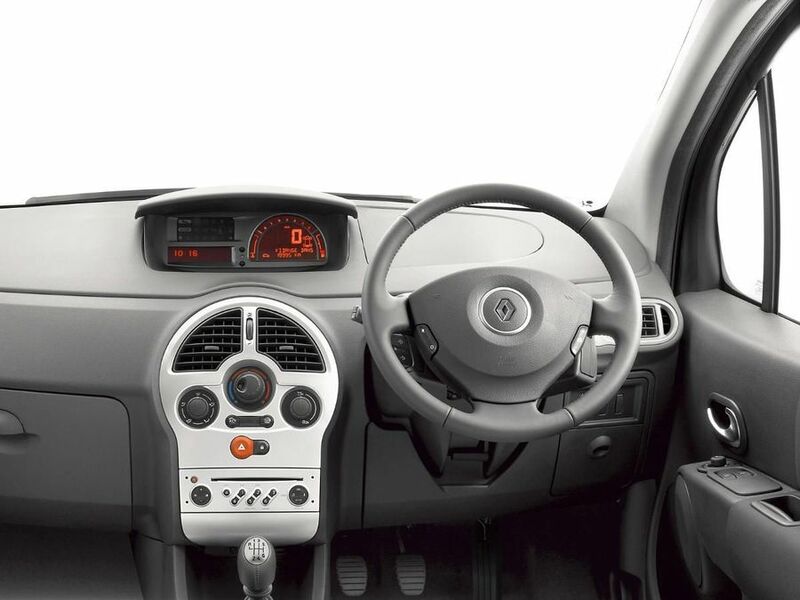 The Renault Modus offers space, low running costs, great safety credentials and decent equipment levels so it’s a sensible choice. There are more capable rivals though. Interested in buying a Renault Modus? The Renault Modus was one of the first small multi-purpose vehicles on the market, and since its unveiling in 2004, it hasn’t changed enormously. The range was mildly facelifted in 2008 and remains smartly styled and well-proportioned. You sit up high in the Modus, with a great view out of the road ahead. Front three-quarter vision is marred by rather large A-pillars. The design of the dashboard is looking a little dated now, but is brightened up by metallic trim across the centre console. The digital speedometer is easy to read, but the radio is mounted too far down, although thankfully Renault offers steering wheel controls. Space in the standard Modus is pretty limited compared to main rivals. With boot space of 293 litres with the seats up, and 1,176 litres with them folded, it doesn’t have anywhere near the space that the Hyundai ix20 and Kia Venga have. With an upright seating stance, comfort levels are high and there’s plenty of seat adjustment. It’s just a shame that the steering column doesn’t offer the same versatility, with just rake adjustment available, and not reach. The Modus rolls its body quite a lot in corners and suffers from vague steering. This makes driving a little cumbersome, although the handling is perfectly safe. The ride is comfortable and wind and road noise are well contained. Three petrol engines and a single diesel engine are available. The 1.5-litre diesel develops 87bhp, has a top speed of 106mph and can accelerate to 62mph in 13.0 seconds. The most popular petrol, the 1.2-litre turbocharged engine, develops 99bhp, has a maximum speed of 113mph and completes the acceleration to 62mph in 11.2 seconds. As you would expect from a mini-MPV, none of the engines propel the Modus particularly quickly, focusing more on good fuel economy. The 1.5-litre diesel unit emits 107g/km CO2 and provides 68.9mpg average fuel economy. There is no road tax to pay for the first year of ownership. The best-selling 1.2-litre TCe petrol engine emits 139g/km of CO2 and returns 47.1mpg average economy. Insurance costs are very low, and the car holds its value as well as vehicles such as the Nissan Note. Servicing is required every two years, or 18,000 miles. Renault consistently comes towards the bottom of most reliability and customer satisfaction surveys, with customers reporting problems with interior trim, together with more serious issues. Renault is adamant that it is going to put these reliability woes behind, and with each new car launched, quality improves. The Modus has a five-star EuroNCAP safety rating. All models come with driver, passenger, side and head airbags, as well as Isofix child safety seat mountings for the rear outer seats. Anti-lock brakes, electronic brakeforce distribution and emergency brake assist are also standard. Electronic stability programme is only available as an option. All models, including the entry level Expression, feature electric windows, air-con, electric, heated and power folding mirrors and a CD player with steering wheel controls. Top-spec Dynamique trim adds 15-inch alloy wheels, front fog lights and a leather steering wheel and gearknob. Popular options include an electric panoramic roof and rear parking sensors. The Modus is relatively cheap to run, thanks to some low-CO2 engines and long service intervals, and there’s a decent amount of standard kit. Factor in the exceptional crash test results, and the Modus will make sense for many buyers seeking more practicality than a conventional supermini can offer.